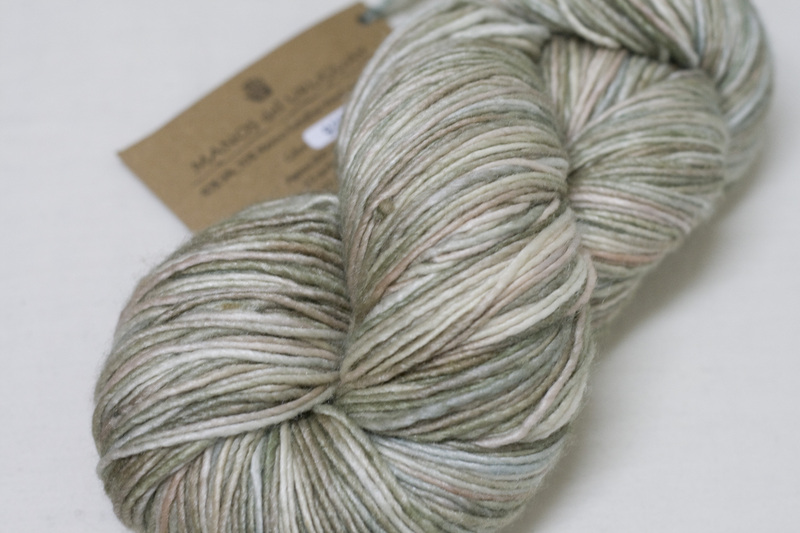 One yarn brand I have been eyeing is Manos Del Uruguay. It is pretty special because it is stunning plus it is created by a non-profit organization which generate employment for women in rural areas. The yarns are gorgeous and the colours are stunning. My eyes settled on this skein of pale beige, cream, green and brown mix of their silk blend base. I picked up one skein at first from our LYS of course, but when I decided I would knit my first Saroyan with this, I was told that I need two skeins. So this skein now has a sister. The colourway is called Virgo. It’s subtle but beautiful. I’d hate to think what the Sagittarius colourway would look like! It is almost always wild – I’ve seen it in some other brands and it hardly fits me. But this skein of the Zodiac virgin is an understated beauty. I can’t wait to work with this. 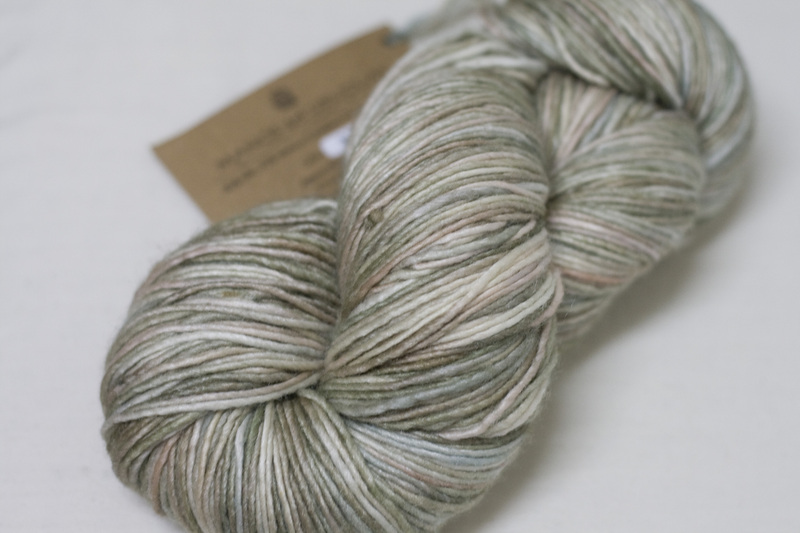 This skein has such a lovely sheen to it and it looks so soft. I have one skein of Manos that I purchased about a year ago, I think it is the Wool Classica (thick and thin variety). Unfortunately, it produces the scratchiest fabric ever. Your Manos looks divine!